Here at Generations Store, providing the decoration and decorating help you need for your party, event or wedding is what we excel at. We realize the stress connected with event planning responsibilities, so we do everything possible to help you after you contact us for all your party, wedding, TV show, movie set, or any large event decorating needs. You can place a special custom order and get our products customized just the way you need them. We take great pride in offering an exceptional service and we maintain excellent relationships with our vendors, which means they are very accommodating when we place special and specific-to-you orders. Call us at 860-233-1117 or send an email to Victor@GenerationStores.Com. Just let us know the products you want and the quantities you need and exactly when you need them. 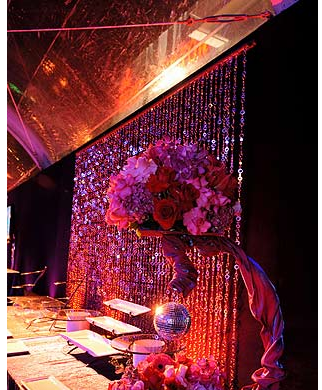 We look forward to helping you brighten up your event and to making it a huge success!
" Make the most out of your creativeness! Make a perfect setting for your next event, wedding, trade show or store front. Create beautiful backdrops and unique decorations with our beaded curtains, String Curtains and other decorative products "
Click the button below to add the Custom Size Beaded Curtains – Trendy For backdrops & Event Drapery to your wish list.